Click here to view last year cover featuring Keira Knightley, here to view 2011 cover featuring Lea Michele, here for 2010 cover with Taylor Swift, and here for 2009 cover with Kirsten Dunst. It seems like Elle UK‘s cover budget is decreasing this year because almost every single cover shot was taken at studio. But who knows, even if it’s taken at studio, perhaps it was located far away from Elle UK‘s HQ. And only God knows the total amount of money they’ve paid to book those major cover stars this year. The budget probably increased instead of decreased. This year, the Lorraine Candy-edited monthly fashion magazine (Jenny Dickinson helmed the magazine for a brief moment while Mrs.Candy had her pregnancy leave) had two cover shots outdoor, featuring Kristen Stewart and David Beckham respectively. Beckham‘s covers easily triumphed the emotionless front pages of Kristen Stewart. The colors on K-Stew‘s covers were lovely, but she failed to give sparks on the eyes. FYI, David Beckham made history because he was the first solo male cover star for the magazine. We loved it when Elle UK used colored backdrop, because the results weren’t boring like when they used white. Just look on how boring was the May issue with Emily Blunt (the subs was way better), September with Rosie Huntington-Whiteley, October with Gwen Stefani and November issue with Jessie J (her subs also better than the newsstand version). Those gorgeous dresses can’t saved the images from being dull. There’s an exception though. The January covers with Lady Gaga was interesting because of the bright outfits and minimal text. Young, talented and bright actors Dakota Fanning (our favourite cover star!) and Mila Kunis landed their very first Elle UK cover this year. The 18 year old was photographed by David Slijper, while the 29 year old former face of Miss Dior handbags was snapped by Doug Inglish. The rest of the cover stars are having better subscriber covers than the newsstands, in our opinion. We are loving those simple, minimalist and no-fuss images of Alexa Chung, Ashley Olsen and Cameron Diaz over their newsstands version. Overall it’s a hit-and-miss year for Elle UK. But, we are looking forward for their next year’s line up already. Especially after they released their first 2013 cover star, Kylie Minogue (her 7th covers for the magazine! ), and it looks promising. Feel free to jump in the comment box below and share to us your favourite Elle UK covers this year. Check out also our recap of 2011 line up, here, and 2010 line up, here. The cover photographed by Alexei Hay is a reprint from Elle UK April 2012. The cover snapped by Alexei Hay is a reprint from Elle UK April 2012. 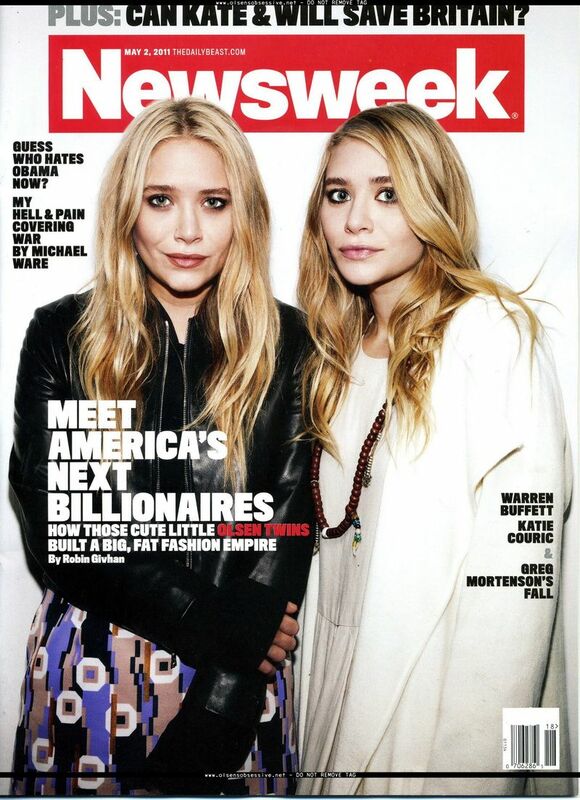 UPDATED MARCH 07th 2012: Added the newsstands cover featuring Ashley Olsen via TFS. UPDATED MARCH 05th 2012: The cover was photographed by Alexei Hay and styled by Anne-Marie Curtis. UPDATED MARCH 03rd 2012: Added the Ashley Olsen subscriber cover version via TFS. 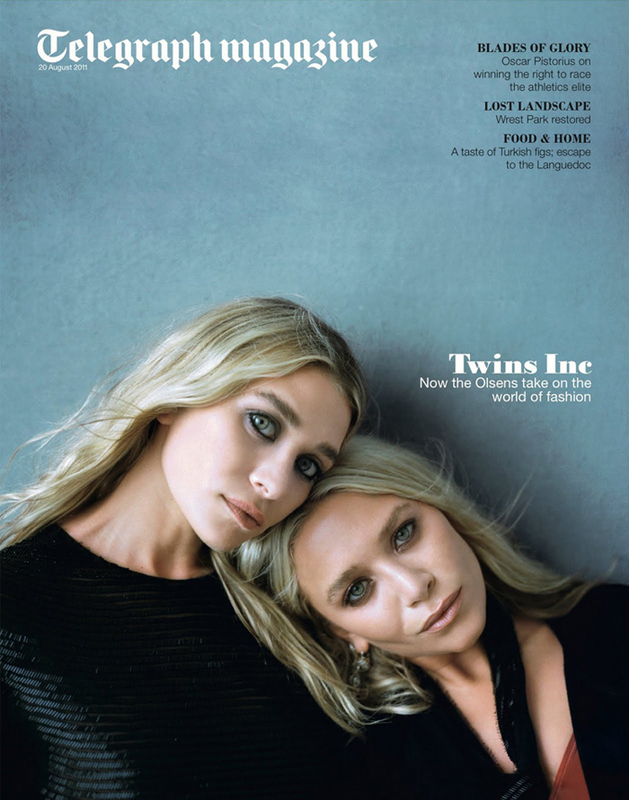 One half of the fashion labels, The Row and Elizabeth and James, Mary-Kate Olsen is gracing the April cover slot of Elle UK. If you’re wondering where’s the other half, no worries because there will be another cover version featuring her twin sister, Ashley Olsen. Click here to view last year ‘s covers featuring Gwen Stefani and here for 2010 covers featuring Chloe Sevigny. UPDATED NOVEMBER 12th 2011: The cover was photographed by Craig McDean. Child actors turned fashion mogul, Mary-Kate and Ashley Olsen are gracing the 2011 cover of Vogue US Best Dressed in lovely lace masks. Last year cover star for the annual issue was Blake Lively. Ashley Olsen (right) is wearing a dress from her own label’s Spring Summer 2012 collection.